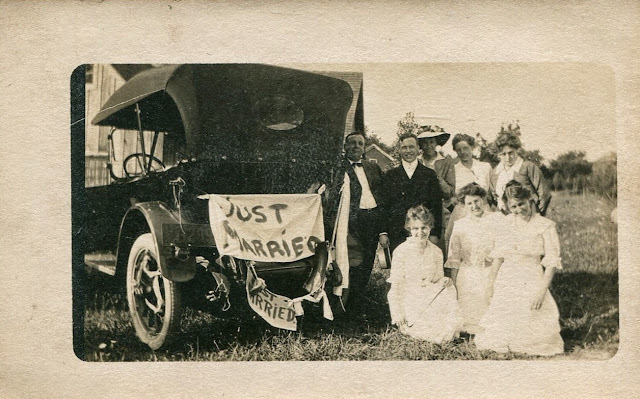 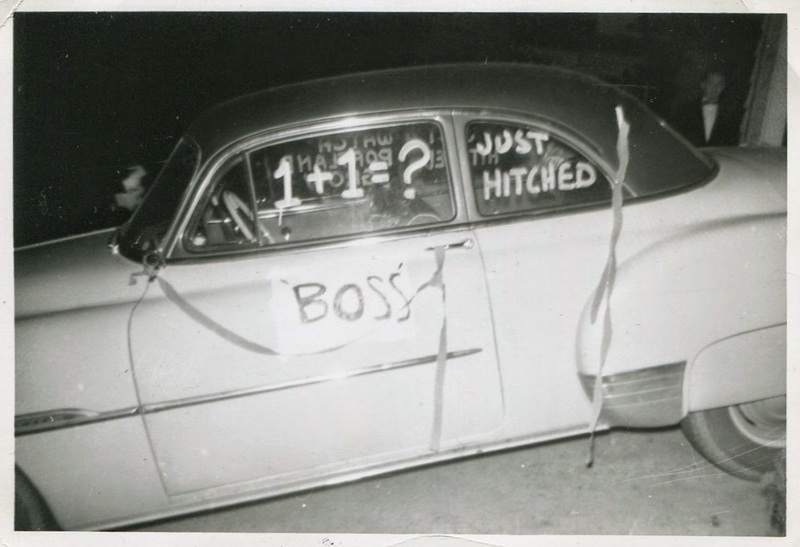 The writing of words on one of the most American of objects—the car—to commemorate the wedding ritual is a curious phenomenon. And sometimes the words are not written on the car, but instead are printed on pieces of paper and applied to the car. Plus, as these photos show, much more colorful and original comments are to be found on the “get-away” vehicle than simply “JM”. 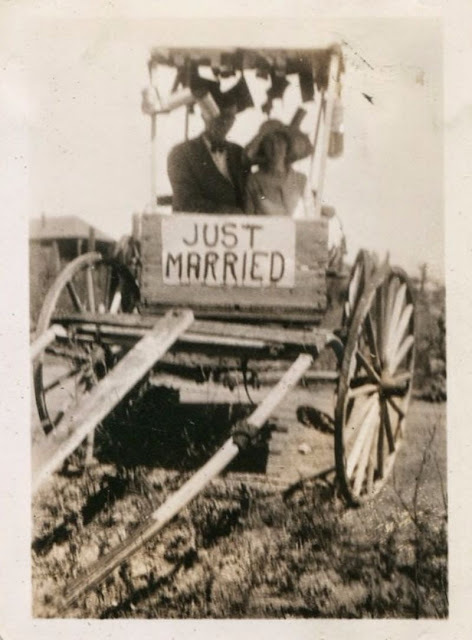 Generally the photo is all about the car, not the couple who recently married and who will have to suffer the embarrassment of riding off on their honeymoon with a very public announcement of their recent vows. 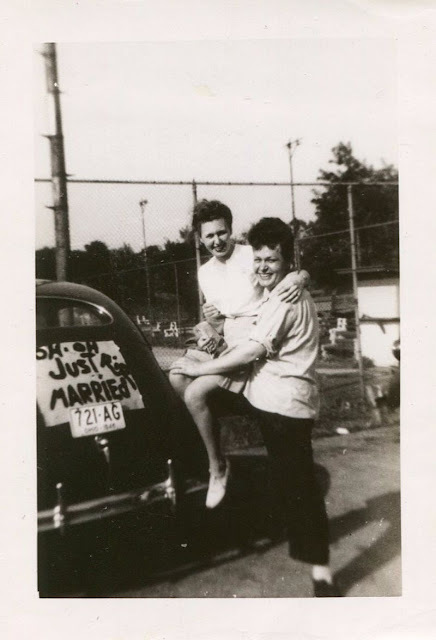 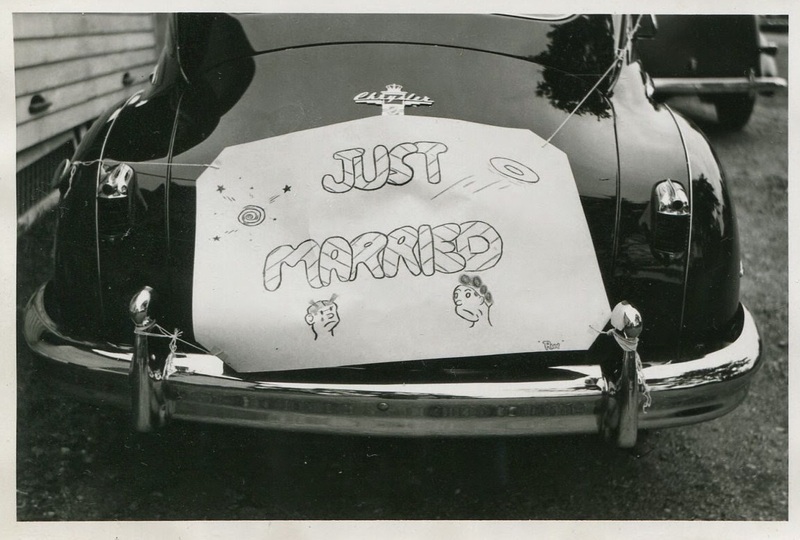 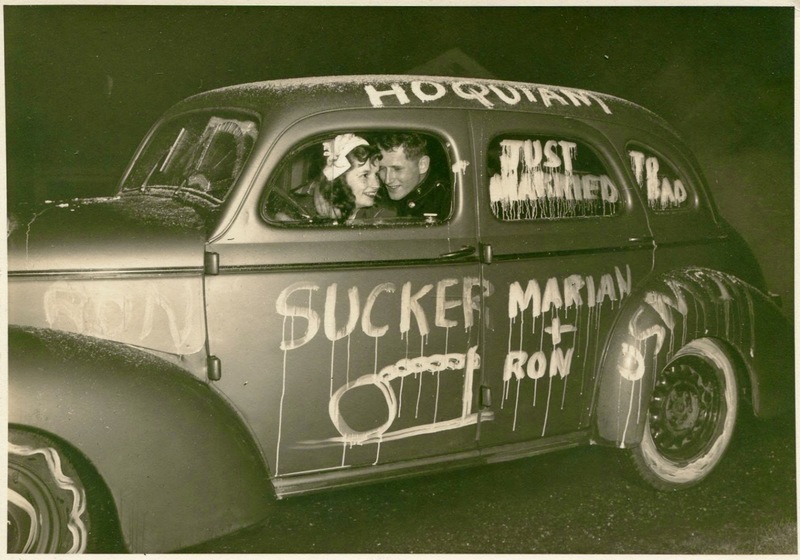 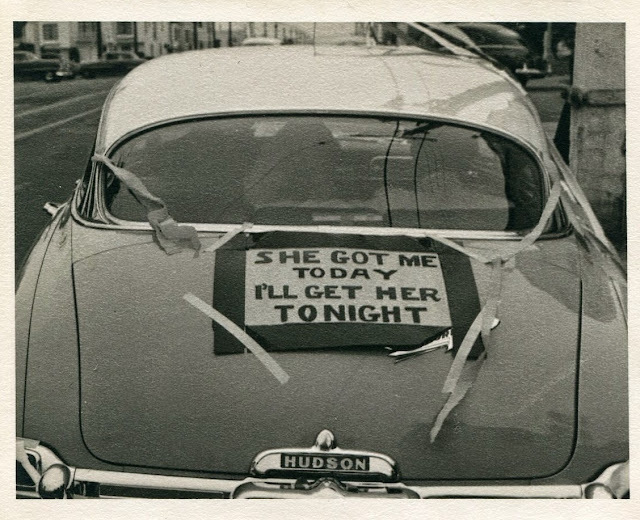 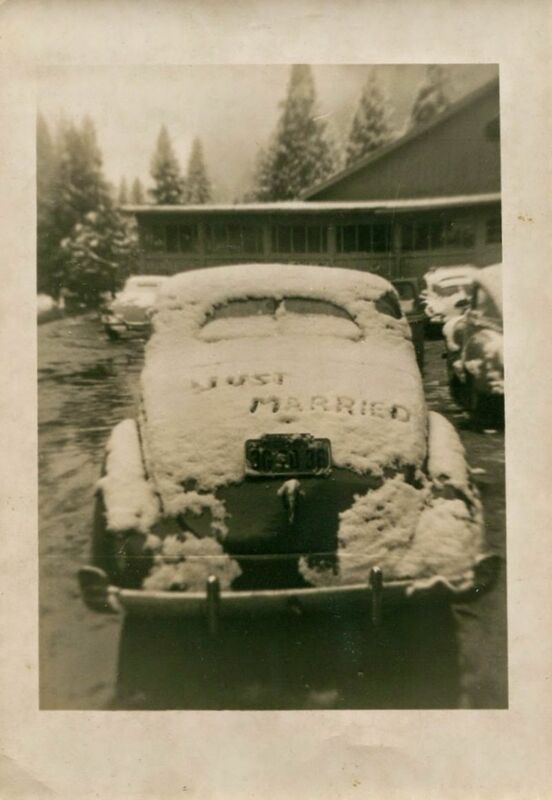 Having some sign or writing on the wedding car announcing the recent event was the one public way of telling the world that the couple was “Just Married”.